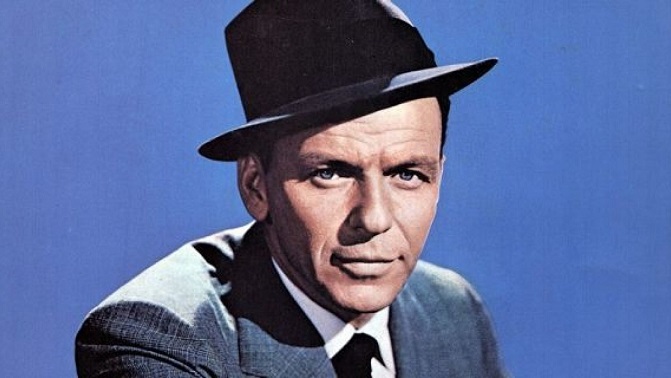 We’re not just quoting the Chairman of the Board because he’s awesome, but also because the lyrics apply to the intertwined engagement and loyalty dynamic. You certainly can’t have one without the other. Engagement and loyalty are of course different, but organizations running sales channels have to understand the relationship between loyalty and engagement if they want to succeed. To establish long-term trust and loyalty both partners first need to be engaged in other’s happiness and success. There needs to be mutual respect on both sides so loyalty can grow. It’s a similar dynamic for engagement that grows into loyalty. For channel sales, engagement needs to happen throughout the entire relationship. The rep must engage with onboarding, with your content, with the incentive plan, and so on. Do they pay attention to you? When you launch a new product or service do they ask questions and want more information? Do you make learning about your product fun? Do people attend your training and demo sessions? Are you offering the right incentives to keep reps interested? Check your engagement metrics frequently to see if channel reps are truly invested in promoting your brand. Do the partners set up sales meetings? Are they attending conferences that you are hosting and actively engaged in sessions and other informational meetings? When you’re tracking collateral downloads and requests, how frequently is the channel partner pulling documents? If they aren’t using your documents then they either are not presenting your capabilities to the customer or they feel the materials are lacking and would rather describe your brand on their own. Either way you have an engagement problem. Long-term loyalty means diving into engagement-based activities frequently. For example, a loyal partner rep is participating in your product demonstrations and asking smart questions about features or pricing. They care about making sales of course, but the questions suggest they also care about representing your offers and brand as clearly and enticingly as possible. To get your reps to such a loyal stage you must engage them from the beginning of the relationship. You have to set them down the right path so they start taking proactive steps to promote your company, increase their knowledge base. High churn rates can point to issues with your channel program. Onboarding new reps because of growth is fantastic. Onboarding them because partners don’t stick with your program is not fantastic. Low churn rates point to better long-term loyalty. The end customer does not report high satisfaction with the channel rep. This can be tricky to measure but it reflects directly on loyalty through the reps’ level of respect and support (or lack thereof) for your brand. The loyal ones figure out how to solve the end customer’s issues. Sales reps that are loyal are quoting your company frequently. They’ve got your back when questions or problems arise. They appreciate your support of their efforts so there’s mutual respect. It’s really the end-game of all the engagement-based work you did on the front end. For channel sales, long-term loyalty is of course a primary goal (in addition to making stacks of cash). You want your channel reps to stick with you over time. Yours is the first brand the reps think about. Loyalty means they associate your brand with positivity and are very willing to give you repeat recommendations. Getting to the perfect marriage of engagement and loyalty takes time and often requires some outside help. We’re experts at marrying engagement and loyalty. We’ll do the heavy lifting and manage many aspects of your channel program through our proven technology tools. Our solution helps companies get the most out of every rep by keeping them engaged, providing them with the tools they need, and ultimately boosting their loyalty. We do this through gamified prescriptive learning, dynamic sales incentives, and increased visibility into how you can help the reps with any questions. Loyalty and engagement, loyalty and engagement come together like a… Okay, it’s difficult to rhyme “engagement” with anything, but you get our point. The two are linked together, so you need strategies that address both of them at the same time. Talk to us to learn how our industry best solution builds engagement for long-term loyalty results.